Avenues is best hair clinic in Ahmedabad, which is equipped with high tech infrastructure and advance technologies for performing best hair treatments. Avenues has hair specialist doctor in Ahmedabad who has many years experience in the field. 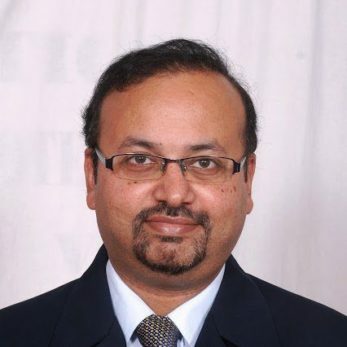 He is a board certified doctor with expertise knowledge. The hair transplant Ahmedabad cost is affordable such that any hair loss patient can manage it. It is such that a patient feels worth paying for. Every procedure is carried with utmost care by the specialized team of expert and supporting staff. The environment at Avenues is healthy and friendly. 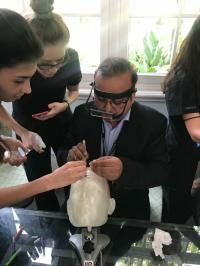 The Avenues Cosmetic Surgery Center is a dedicated Hair Transplant in Ahmedabad and Cosmetic Surgery clinic, committed to giving the most effective, scientifically formulated and clinically proven results for the best aesthetic surgery solutions for you. Our Aim is to provide maximum hair growth for each individual associated with us. Our clinic look after men and women with all ages suffering from baldness. For our work, we have been awarded “the best emerging hair transplant and cosmetic surgery clinic in Ahmedabad” 2015 by Brand Achiever. A thorough analysis of your individual case. Suggesting the best solution for your individual needs. 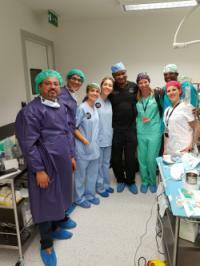 Surgery by our specialist doctors and highly trained staff. Dr. Kinnar Kapadia, a Gold Medalist in Plastic Surgery, is a Board Certified and experienced Cosmetic surgeon. He is considered as the best hair specialist in ahmedabad. 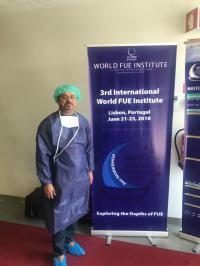 He is one of the very few experts in Reconstructive Microsurgery in India. 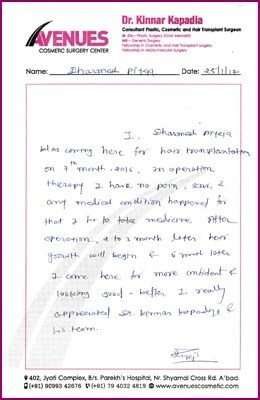 I darmesh pijeja coming here for hair transplantation on 7th month 2016.in operation therapy i have no pain,scar & any medical conditions happened for that i have to take medicine after operation.2 to 3 month later hair growth will begin and 6 month later i came here for more confident & looking good-better i really appreciated Dr.kinnar kapadia and his team. 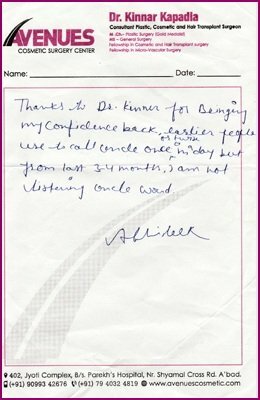 Thanks to Dr kinnar for bringing my confidence back, earlier people use to call uncle once in a day but from last 3-4 months i am not listening uncle word. 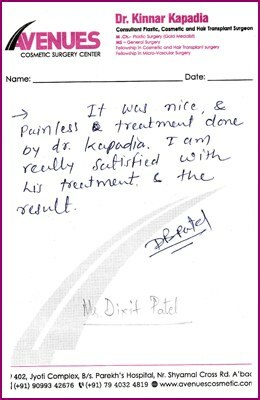 It was nice and painless treatment done by Dr. kapadia.I am really satisfied with his treatment and the reasult. 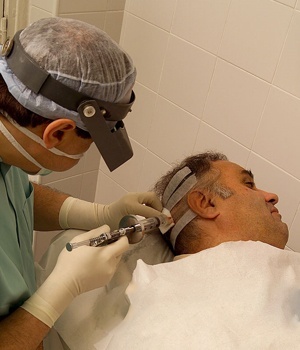 Follicular Unit Transplantation or strip harvesting is a technique in which strip of skin is removed from the scalp, Individual hair units are then removed and implanted one after the other in the bald areas of the head scalp. Follicular Unit Extraction allows extraction of individual follicles one after the other from the donor area under local anesthesia and then its implantation is done into the bald areas.